Hawaii Kai is a residential area/development in the city of Honolulu and is part of the CDP of East Honolulu. It is located on the south side of the eastern end of the island of O'ahu. It is a large development and was primarily developed by Henry J. Kaiser. It is the largest of the residential communities on the eastern end of the island. It is a diverse community and approximately 16% of all residents were born outside the U.S. The community is located in the area known as Kuapa which is home to the ancient Maunalua fish pond and wetlands area. It is a beautiful community with lush greenery, beautiful homes, quiet streets and low crime rates. Before the lands were developed, they were part of the Bernice Pauhi Bishop Estate. The Kaiser Aetna Company began development of the area in the 1960s. Dredging was used in the development of the lands to transform parts of it from a shallow inlet to a marine bay. The vision for the development was to create residential plots around a marina and channel system. This system would feature fingers of land and islands where homes and businesses could be built. The development of the area continues and now it has spread from the lands around the marina back through the valleys and up the ridges of land. Today it has grown to thriving community with many neighborhoods. The community spans 11.709 square miles and there are approximately 30,000 residents. In 2016, the median household income was $108,471 and the average household size was 2.6 people. In the same year, the average estimated value of single family homes was $872,819, the average estimated value of townhomes and other attached units was $684,644 and the median rent was $2,200. Education in the community is supervised by the Hawaii Department of Education. There are three elementary schools in the CDP Haha'ione Elementary, Kamiloiki Elementary and Koko Head Elementary. Middle school students attend at Nui Valley Middle School which is located outside the community. High school students return to attend classes within the CDP at Henry J. Kaiser High School. 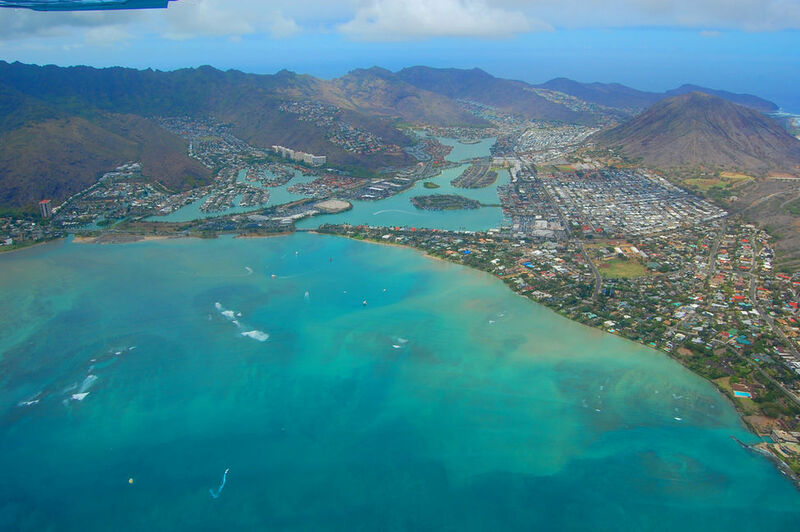 Local attractions include the Hawaii Kai golf course, Makapu'u Lighthouse and Beach, Hanauma Bay, Koko Crater and the Koko Crater Botanical Garden, Sandy Beach and much more. The CDP is home to the Kamehame Ridge which features a popular hiking path known as Dead Man's Catwalk. Despite its seemingly dangerous name, the hike is paved and fairly easy as it leads up to breathtaking views. It is also home to Hanauma Bay Nature Preserve, an area that served for decades by Hawaiian royalty for recreation purposes. Today it is a beautiful nature preserve that welcomes around 3,000 visitors most days, expect Tuesdays when nature takes a day off. It is home to beautiful beaches, perfect snorkeling conditions and countless breathtaking sights. Homes for sale come in a range of sizes, styles and prices to fit the needs of potential buyers. Other real estate options include apartments, condominiums and more. Begin your home search today, call local real estate agents and experts Stefanie Cruz and Isabella Holmgren at 803-348-0697 and find a place to call home. Learn more about schools near Hawaii Kai complete with ratings and contact information.